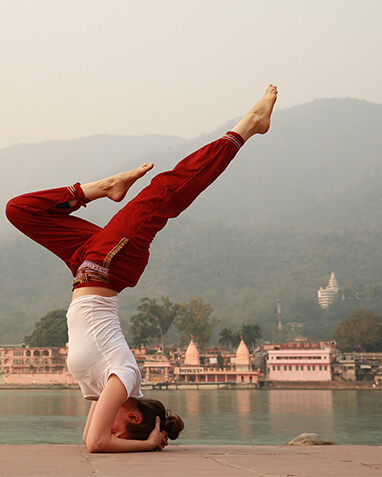 Study the science of Yoga and Ayurveda from the roots of its origin. Certification in Kerala with Us. 200 Hour / 300 Hour/ 500 Hour Ayurveda and Yoga Teacher Training Course in Kerala Certified by Yoga Alliance. 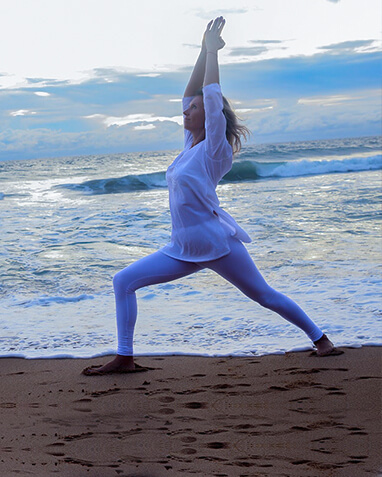 Sail to the motherland of Ayurveda and embark upon the soulful journey of yoga in the breathtaking region of Varkala, Kerala. With another branch in God’s own country, Kerala, Rishikul Yogshala rewards the ideal escapade into the cosmic of yoga and spirituality. 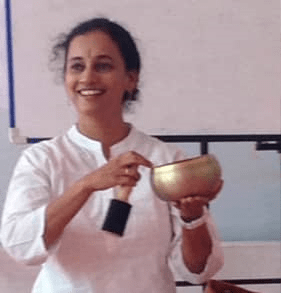 Come and discover the treasures of the most natural and traditional healing sciences with one of our Yoga and Ayurveda Teacher Training Certifications in Kerala, India. A destination streamlined with the cleanest beaches, crystalline sand dunes, soul-quenching backwaters, exquisite flora and fauna – the mesmeric town of Kerala has always been eminent for its bountiful resources, natural reserves and, of course the science of yoga and Ayurveda, including the very infamous martial art form, of which this land is the origin – Kalaripayattu. The birth mother of Ayurveda rewards a soul with the ideal environment and resources for deep internal self-reflection, and for undergoing a complete transformation of the mind, body, and spirit. 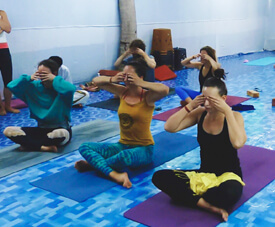 A Yoga Teacher Training Course in Kerala at the best Yoga Schools in Kerala introduces the practitioner to the gifts that can only be relished for a lifetime. Rishikul Yogshala has always been fond of this place for its sanguineness and healing treasures. Acknowledging these facts, we have set up another wing in the Varkala region of Kerala from where we impart the most authentic and refined teachings of Ayurveda and Yoga to our students. Undergoing a Yoga Teacher Training in Kerala India at Rishikul Yogshala is a rewarding experience. The cliff top location of the school provides a breathtaking panorama of the crystalline beach, wide garden spaces, herb gardens, and a mesmeric country life. Only a few breaths away from the magnificent sea, the yoga teacher training experience here becomes truly delightful and authentic as the students are led through a highly invigorating journey of yoga under the admiring tutelage of the much-revered Yoga and Ayurveda teachers. 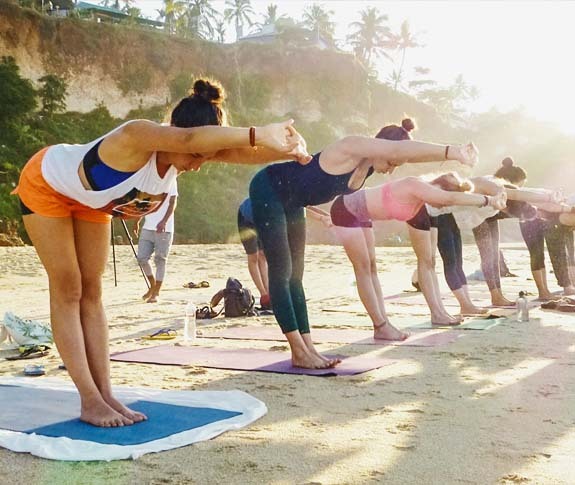 The town offers the ideal ambiance, appropriate resources, and widely honoured yoga teachers for imparting the education of yoga to the students through the renowned Yoga Certification Courses in Kerala. 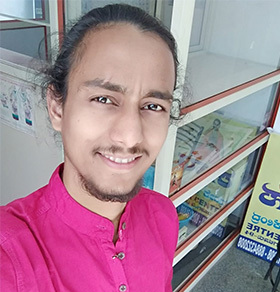 Our Yoga Instructor Training in Kerala offers the perfect combination of Yoga Teacher Training with the added benefits of Vedic practices and learning in the motherland of Ayurveda. The town of Varkala is adorned with a cliff top acting as a soothing destination for yogis, backpackers, and travelers. 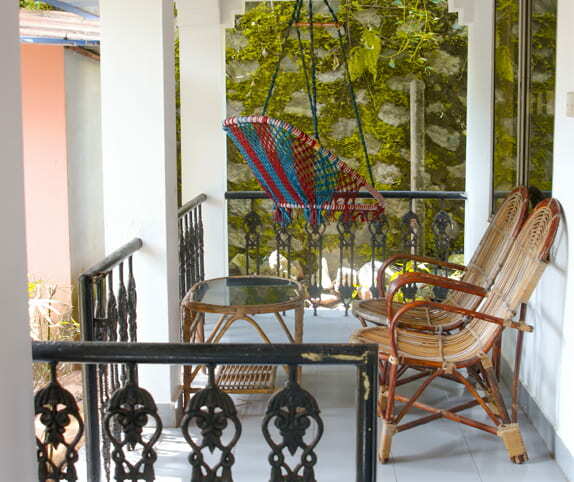 The school works closely with the Ayurvedic practices of which Varkala is the birthplace of. 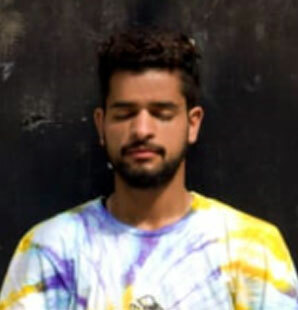 On offer is a wholesome range of relaxation therapies, Yoga, Meditation and Pranayama in 200 Hour, 300 Hour and 500 Hour yoga teacher training course in Kerala. In addition to Yoga Asana and Yoga Philosophy, our students experience the authentic art of massages, Vedic spa treatments, and Panchakarma therapies. 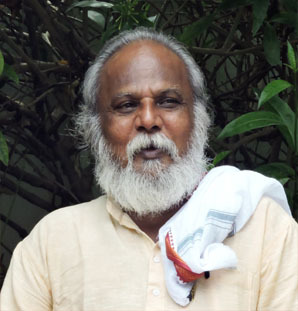 Our certified teachers travel from Rishikesh and other parts of Kerala to impart the wisdom of Yoga and Ayurveda in the silent recesses of our ashram in Kerala. During leisure hours, the students can spend blissful moments at some of the most beautiful and bucolic beaches in the globe. Seek the yogi in you and let the yogi communicate with the soul and the divine with a Yoga Training Course in Kerala. Step forward in your journey of yoga and evolve into a sincere practitioner during this program. Become a certified yoga instructor of finest standards with our 200 Hour Yoga TTC in Kerala. 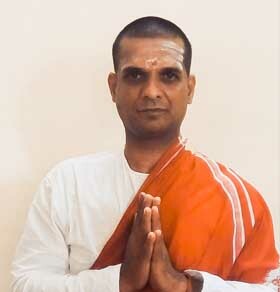 This month-long program shall lay the building blocks upon which you can develop as a complete yogi. Upon graduating as 200 RYT, You can prance ahead in your journey of yoga with 300 Hour Yoga Alliance Teacher Training In Kerala. Advance to the next level of learning and practice of yoga with our 300 hour Yoga TTC in Kerala. 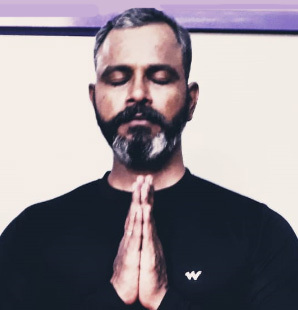 Gain recognition and validation status of being an excellent 300 Hour Yoga Teacher holding immense knowledge and practice of the traditional system and discipline of yoga. During our 300 Hour Yoga Courses In Kerala, you shall undergo advanced teachings, in the subjects along with practical implication of the same. Step into the heavenly cosmos of yoga and emerge as a full-fledged yoga teacher and practitioner signifying finest and most authentic standards with our 500 Hour Yoga TTC in Kerala. This 2-Month long program shall equip you with complete knowledge and practice of the traditional styles of yoga along with acquainting you with the pragmatic way of life, ethics and principles that yoga is symbolic of. Learn, immerse and acquire the age-old traditional style of martial art, Kalaripayattu with our Kalaripayattu and Yoga TTC in Kerala. 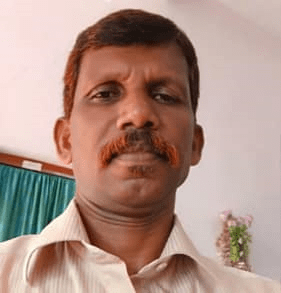 A martial art form which traces its roots back to Kerala, is widely acclaimed for being one of the most physically, mentally and spiritually challenging forms of martial art ever developed. The art form seeks an assemblage of yoga and intense style of defense mechanism that was birthed in the majestic lap of Kerala. Upon successful completion of this program, you shall gain sharper intuitive skills, strength, stamina, agility and a heightened sense of self-defense. 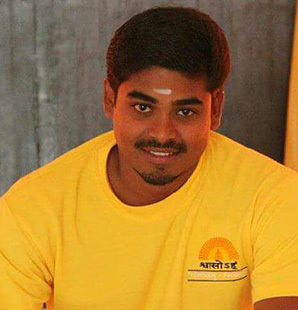 Get awarded Yoga Alliance recognized certification in Yoga with Yoga TTC in Kerala at Rishikul Yogshala. 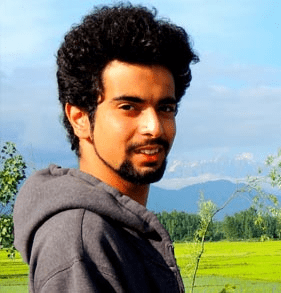 The certificate shall validate your credentials as a recognized yoga instructor and grants you the liberty to practice and preach the science of yoga in every corner of the globe. 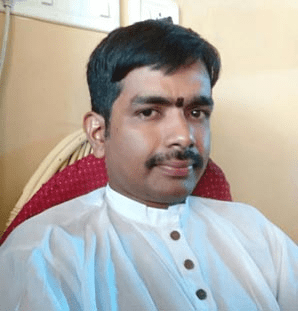 With this program, you can fulfill the aspiration of being a teacher and preacher of yoga and further intensify the yogic knowledge and practices. Building A Dwell in the lap of nature at our picturesque resort accommodation at Varkala Beach in Kerala. Reside in beautifully constructed huts and experience the yogic way of life. Set amidst lush green garden spaces, the resort offers an ideal escapade into the Vedic life. Each hut is furnished with all the modern facilities such as twin beds, mosquito nets, attached bathrooms, water geyser, etc. to ensure a cozy stay for the modern yogi. Each accommodation has a private seating area for spending leisure hours and, the hammocks in the garden only add to the charisma of the place. The rooms are available on both private and sharing basis. You can also avail air conditioned rooms at additional cost. 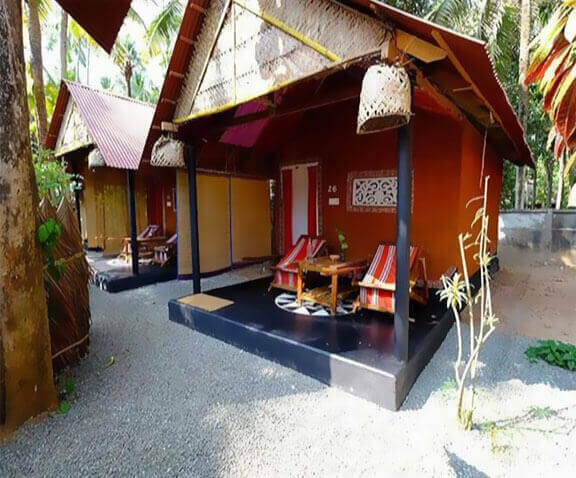 Building A Dwell in the lap of nature at our picturesque resort accommodation at Varkala Beach in Kerala. Reside in beautifully constructed huts and experience the yogic way of life. Set amidst lush green garden spaces, overlooking the giant panorama of the sea, the resort offers an ideal escapade into the Vedic life. Each hut is furnished with all the modern facilities such as twin beds, mosquito nets, attached bathrooms, water geyser, etc. to ensure a cozy stay for the modern yogi. Each accommodation has a private seating area for spending leisure hours and, the hammocks in the garden only add to the charisma of the place. The rooms are available on both private and sharing basis. You can also avail air conditioned rooms at additional cost. 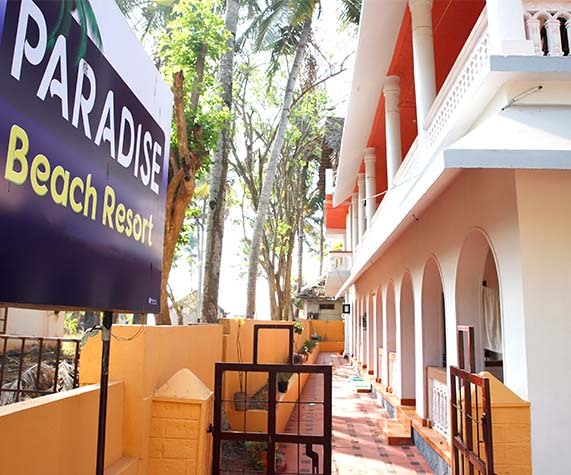 Building B Only a few steps away from the emerald beach and the Varkala Cliff, our accommodation facility at the Paradise Beach Resort is a paradise from heaven. The perfect abode for the practicing yogis, each room at the resort comes with a beautiful balcony, well laid with cozy seating area. The garden area houses an assortment of luscious flora that is decked with vibrant hammocks for spending leisure in the lap of nature. 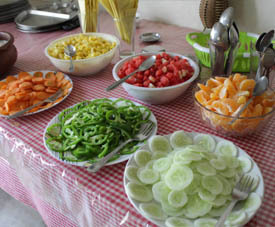 The rooms are facilitated with attached washrooms, twin beds, mosquito nets, etc. for a comfortable and homely stay at the place. The rooms are available on both sharing and private basis. Extra charges applicable on air conditioned rooms. The country of Kerala is not just eminent for its Yogic and Ayurvedic treasures, the place is also known for its bountiful natural resources, striking flora, and fauna, herb gardens and taste tingling spices. 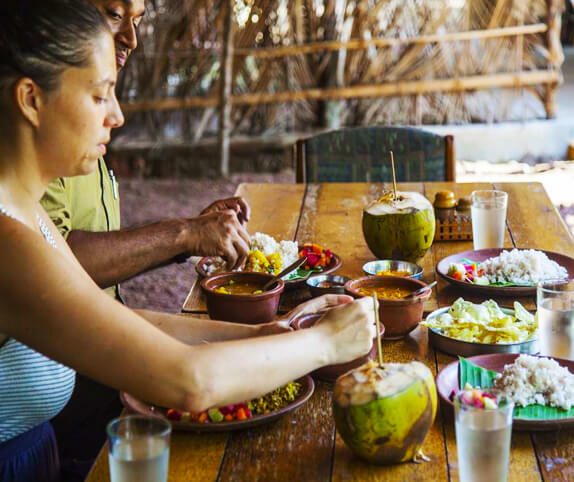 From gut replenishing meal choices to soul satiating dishes, Kerala offers your palate and body the contentment and the nourishment it deserves. The town has acres of pastures and organic reserves to satiate each and every soul who sets foot on its divine land. We, at Rishikul Yogshala, take immense gratification and care in bringing the best of traditional cuisine on the platter of our students – a meal that is wholesome, yogic and equally divine. 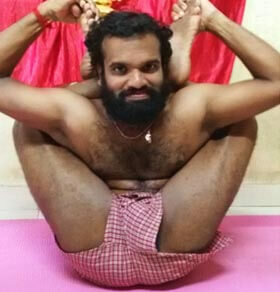 Owing to the rigorous demands of a yoga teacher training program, special attention needs to be paid for the benefit of the mind and body of each practicing individual. And, we completely level with this fact. 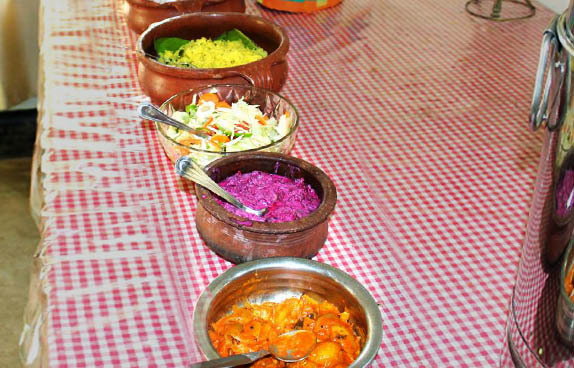 Keeping the same in our heart and mind, we serve wholesome yogic food that prepared by our professional chefs, specializing in Ayurvedic cuisine. Additionally, we serve replenishing organic drinks as accompaniments. 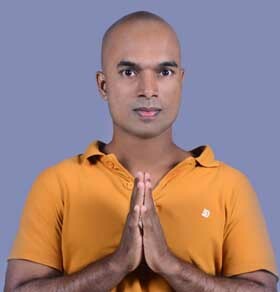 Accredited status of being a globally recognized yoga instructor and practitioner. Liberty to preach yoga anywhere around the globe. Experience the true yogic lifestyle and acquire the discipline and the habit to continue living it. Interact and learn from Ayurveda and Yoga Acharyas of the finest standards. Indulge in mindful experiences and discussions with free-spirited people of similar taste. Establish bonds of a lifetime. Go back home with invaluable knowledge and priceless experiences that lead you to the path of contentment and complete wellness. 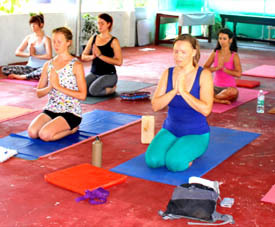 300 hour yoga teacher training in Kerala, India by yoga alliance certified school. 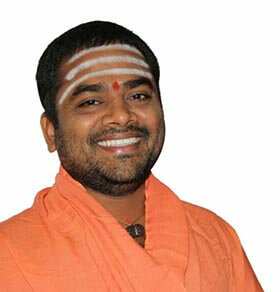 Yoga teacher training certification course in Kerala by Rishikul Yogshala. 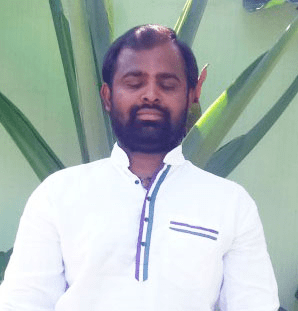 500 hour yoga teacher training in India by yoga alliance certified school. 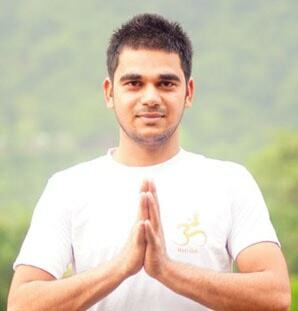 Yoga teacher training certification courses in Kerala by Rishikul Yogshala.